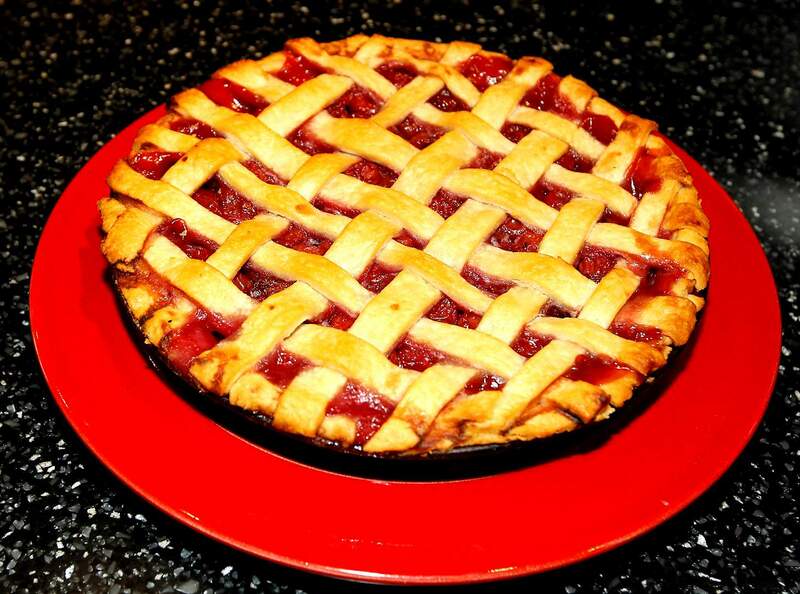 Both sweet pies like this handmade cherry pie and savory pot pies will be served at the pie contest Saturday at the Ohana Kuleana pie competition. Bring out your pies, both sweet and savory, to the tastiest kind of competition Saturday. The Ohana Kuleana Community Garden, now in its second season, will hold an open house and pie competition to showcase its growth. This is the first year of the pie contest, and organizer Mia Carrasco-Songer hopes it will help build community around food and offer an opportunity to share recipes. “It’s such a wonderful way to come together,” she said. The judging will be inclusive, and all attendees will have the option to vote for their favorite pie in the sweet and savory categories, she said. She is expecting some members of the garden, which includes 32 groups, to bring savory pies made with the garden’s produce. For example, one member is planning to bring a zucchini pie with apple flavoring. But others will be more traditional pot pies with fresh potatoes and carrots. Some of the garden members are going to be available to give tours of the garden, which doubled in size this year. Members of the community garden also have planted new fruit trees and added an educational pavilion. If you are interested in a garden plot, organizers have established a waiting list. They will open registration at the end of spring, Carrasco-Songer said. However, she anticipates only a small number of openings. New member Bryan Bagdol, who gardens with other teachers, said he joined to get to know a little bit more about the community. “It’s been a really educational experience,” he said. If you would like to chow down this weekend, bring a pie and you can get in free. Otherwise it’s $5 to eat and listen to Super Bad from the Stillwater Foundation. The event will be held from 4 to 6 p.m. Saturday at the garden at 564 east 30th St.